The innovative mobile app, ?Music Maker JAM? will let you create and share music with others very easily. Tracks across wide variety of genres can be discovered with this application. The genres include EDM, hip hop, pop, rock and many more. 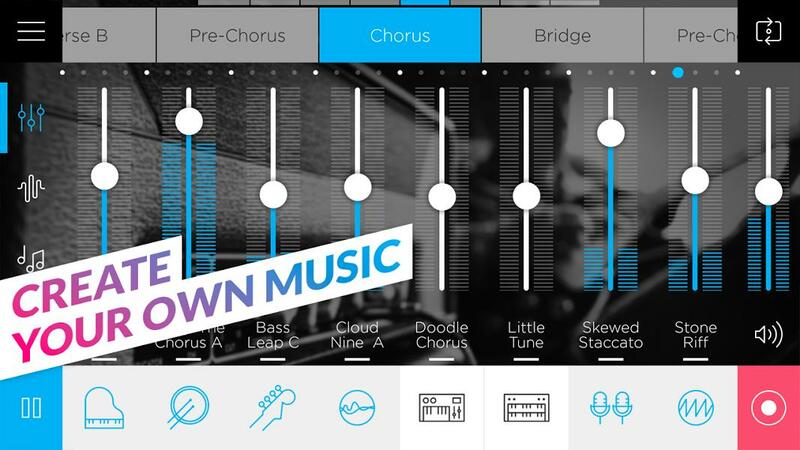 You will be able to pick up high-quality loops, beats and melodies with the help of the app. Beats and melodies can be shared instantly with world-wide audience. Tracks can be submitted for global challenges by using the android app, ?Music Maker JAM?. You can share them with worldwide audience very easily. As you manage followers with the promotion of your talent, your fame will spread very easily. The app is powerful than many free apps available in the market. You can choose your unique sound with the help of the app,? Music Maker JAM?. The unit supports more than 200 style packs including trap, hip hop, pop, funk, techno, house and ambient. Different music genres can be combined and unique sound will be produced. You will be able to record live and there will be perfect mixdown on the 8-channel mixer. You can access studio-quality loops with the help of the app.